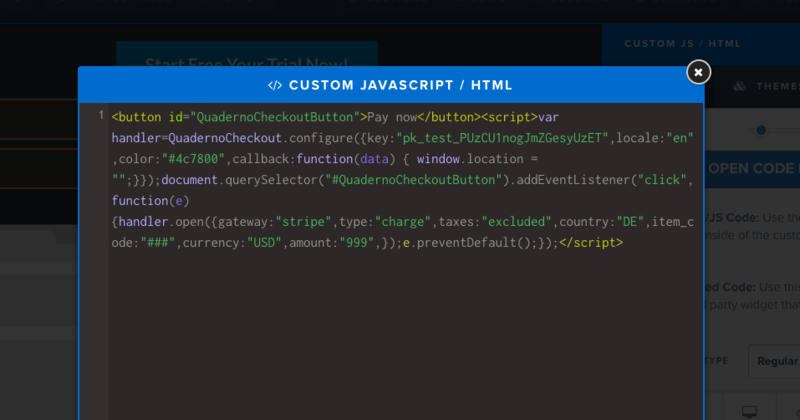 Quaderno Checkout is an embeddable payment form for your ClickFunnels site. It works within your site seamlessly, allowing customers to pay in-place without being redirected away anywhere else. It looks pretty great, to boot! 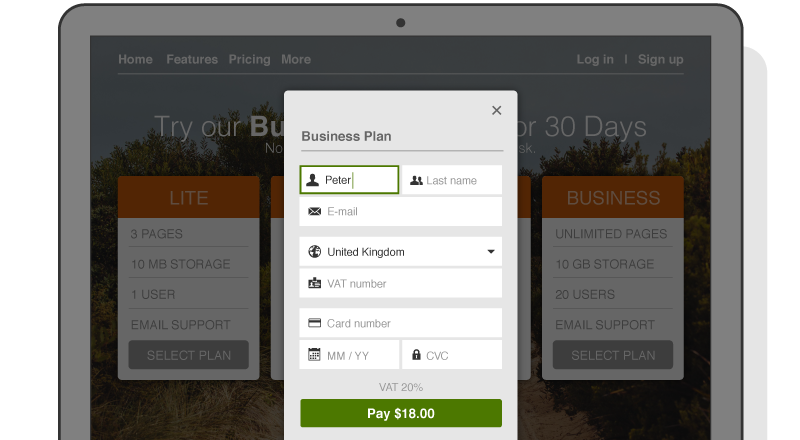 Charge your customers via Stripe or Braintree. Note: Quaderno Checkout does not support discount codes or the ClickFunnels affiliate program. 3. Within your ClickFunnels account, open the page where you want to embed the Checkout form and click on Settings > Tracking Code. 4. 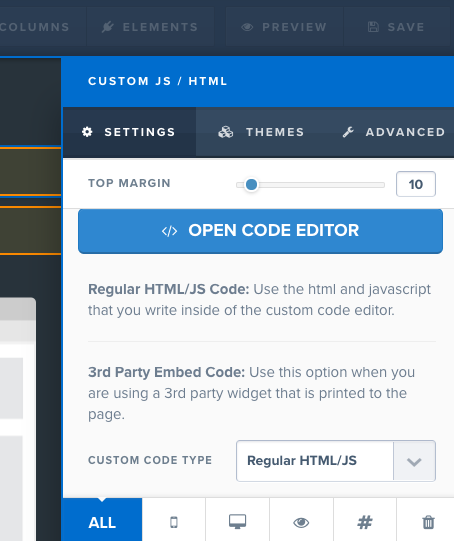 Paste the first <script> section of the embed code into the Header Code field. 6. Click on Elements > Manage and add a Custom HTML / JS element where you want to embed the Checkout form.